There’s that special place in our conscience that makes us want to please good ‘ol Mother Earth by making our homes more eco-friendly. However, for some, making greener choices can be overwhelming. Some think that they need to buy all those eco-friendly products that add up to a blood-curling total. 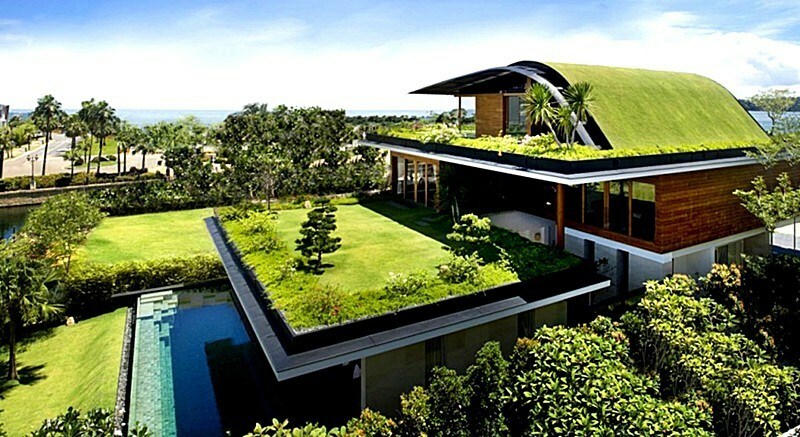 Others believe that making their homes greener takes too much effort and time. Not true! If you’re planning to make your home just a tad bit greener before Earth Day, here are simple ways to make it happen sans the headache, bank ache, and backache! Add indoor plants to naturally purify the air inside your home! Some plants have been proven to get rid of volatile organic compounds such as benzene, methylene chloride, and pentane. Studies have shown that the concentrations of these chemicals are higher indoors. Certain plants can easily eliminate the said harmful toxins that are known health hazards. Instead of buying costly air filtration system, go for potted plants that are cheaper and will probably last longer. They will liven up your interior, too! See some examples of these eco-friendly plants here! Paper towels, plastic plates, plastic utensils, and plastic cups accumulate in the landfills every year. Don't contribute to that problem further. Use absorbent towels in the kitchen for spill-ups and hand towels in the bathroom. There are times, however, when disposable utensils and flatware can be our best friends. If you’re having a big party at home and don’t want the trouble of washing dozens of spoons, forks, cups, and plates after, use the 100% compostable versions that are made from bamboo or renewable corn starch. Air leaks can cause indoor problems and can account to 30% of wasted energy in your home. Inspect corners, ducts, windows, doors, and walls for any fissures. Caulking, being the go-to solution for this type of problem, can be used in an eco-friendly manner. Choose caulk that meet VOC standards, non-toxic, and water-based. Incandescent light bulbs are the least energy saving and eco-friendly bulbs yet they are the most commonly used. The said type of bulb converts only about 5-10% of its energy into light while the rest is emitted as heat. Switch! Light-emitting diodes (LED) is the top choice when it comes to going green. They last longer and are less susceptible to breakage. Compact Fluorescent Light bulb (CFL) is another alternative, but its eco-friendly factor is debatable due to its mercury content. The simple act of unplugging appliances when not in use can save you money and prevent energy wastage. Even when the appliances are turned off, they continue to emit 'vampire power'. This intelligible slip can set you back a couple of hundred dollars per year! Unplugging can also make your appliances last longer, too! This has been reiterated time and again, but let us emphasize the need for this one more time. Be mindful of how you throw your trash especially those that contain corrosive acids and toxic heavy metals such as lithium batteries. You can either wrap the batteries with layers of electrical tape before you place them in sealed containers prior to disposal or take them to recycling centers. A simple clothes dryer contribute more than 2,000 pounds of carbon foot print per year and is responsible for 12% of electricity used in a household. And there’s the problem of shrinkage of clothes as well. Researchers found out that forced air is responsible for this; it is also responsible for the loss of a fabric’s tensile strength. Go old school by air-drying your clothes outside during the summer and indoors when the chilly months come! Not only will the environment benefit from this simple change, your clothes will smell better, too!